As President Barack Obama made history in Cuba on Sunday, the Centers for Disease Control and Prevention issued a new travel warning over the rapidly spreading Zika virus, which recently broached the shores of the island nation. On Saturday, the CDC announced that the Zika virus is being transmitted in Cuba through mosquitoes and recommended that pregnant women avoid traveling to the country. Cuban health officials so far confirmed five instances of people infected with the virus, with an additional 130 people showing symptoms. The news comes as Puerto Rico installs emergency measures to avert a looming crisis over the the virus, which has spread across Latin America, the Caribbean, Africa and the South Pacific to more than 30 countries and territories since it was first discovered in May last year in Brazil. 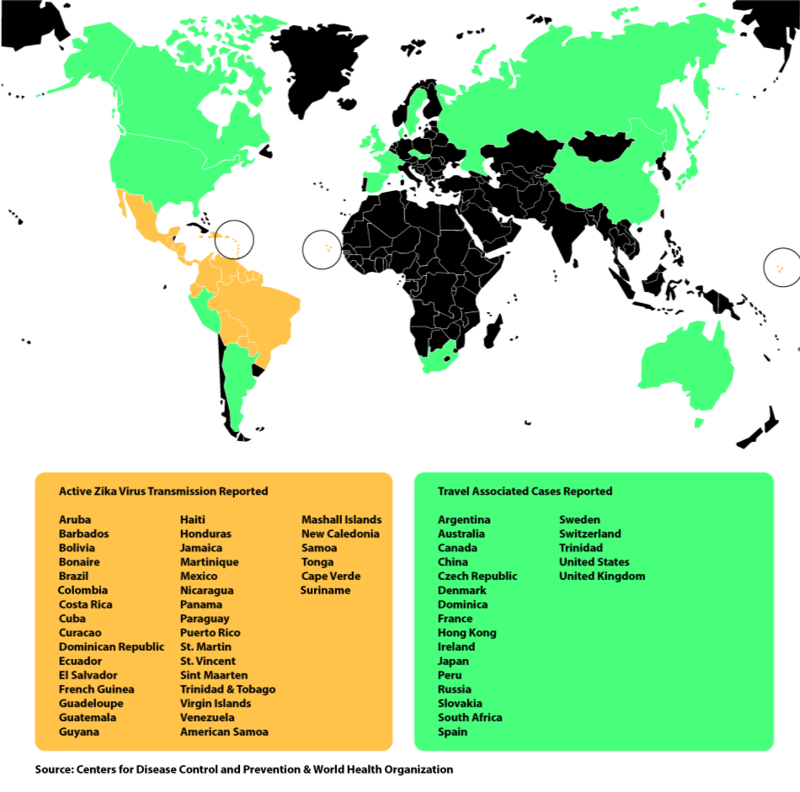 The World Health Organization in February declared a public health emergency as a result of the Zika virus. The CDC said up to one quarter of Puerto Rico’s populace, or more than 700,000 people, could be infected by the virus in the coming months. Researchers believe Zika can cause complications in pregnant women with a possible link to a wide range of neurological disorders and birth defects. About 80 percent of those infected with the virus do not show any symptoms, the CDC says. “There could be thousands of infections of pregnant women this year,” C.D.C. director said Dr. Thom Frieden told the New York Times after traveling to Puerto Rico. The virus was first discovered in an 80-year-old man in November in Puerto Rico, a U.S. territory. Cuban officials announced on Tuesday it had discovered its first infected citizens. 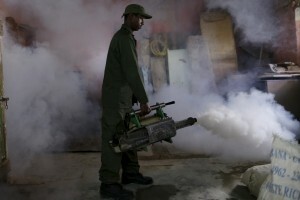 The worrying signs that the spread of the Zika across Latin America has not abated led officials to pick up the pace of mosquito eradication efforts in Cuba, which lies 90 miles off the coast of Florida. 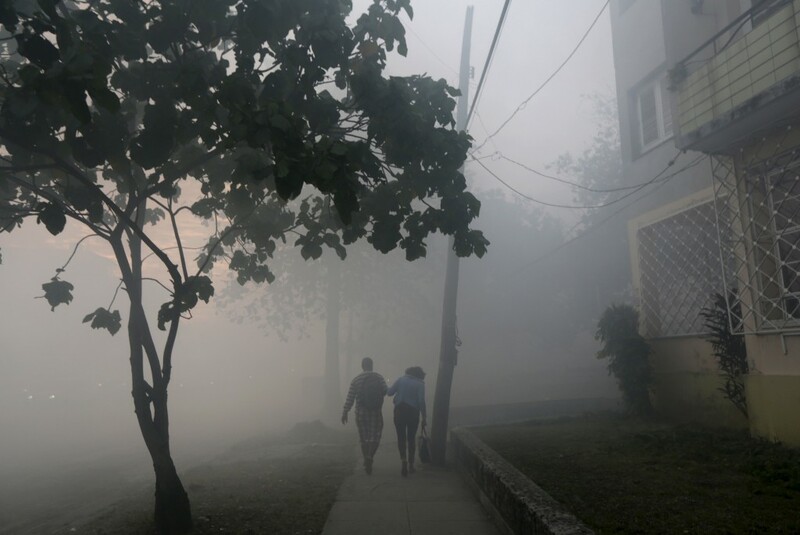 More than 9,000 people including many soldiers have fumigated large swaths of the country in recent weeks, including homes and entire neighborhoods.